This is a scalable context timeline. It contains events related to the event May 8, 1991: Silent Coup Charges Discredited on CNN. You can narrow or broaden the context of this timeline by adjusting the zoom level. The lower the scale, the more relevant the items on average will be, while the higher the scale, the less relevant the items, on average, will be. Discovery - They are surprised at gunpoint by three plainclothes officers of the DC Metropolitan Police. Two ceiling panels have been removed from the secretary’s office, which is adjacent to that of DNC chairman Lawrence O’Brien. It is possible to place a surveillance device above those panels that could monitor O’Brien’s office. The five suspects, all wearing surgical gloves, have among them two sophisticated voice-activated surveillance devices that can monitor conversations and telephone calls alike; lock-picks, door jimmies, and an assortment of burglary tools; and $2,300 in cash, most of it in $100 bills in sequence. They also have a walkie-talkie, a shortwave receiver tuned to the police band, 40 rolls of unexposed film, two 35mm cameras, and three pen-sized tear gas guns. Near to where the men are captured is a file cabinet with two open drawers; a DNC source speculates that the men might have been preparing to photograph the contents of the file drawers. Richard Nixon was guilty of nothing except being a dupe. Instead, Dean is the mastermind behind the Watergate conspiracy. Dean became involved both to find embarrassing sexual information on the Democrats and to protect his girlfriend, Maureen “Mo” Biner (later his wife), who is supposedly listed in a notebook linked to a prostitution ring operating out of the Watergate Hotel. This alleged prostitution ring was, the authors assert, patronized or even operated by officials of the Democratic Party. Dean never told Nixon about the prostitution ring, instead concocting an elaborate skein of lies to fool the president. According to the authors, Dean’s wife Maureen knew all about the call girl ring through her then-roommate, Heidi Rikan, whom the authors claim was actually a “madame” named Cathy Dieter. The address book belonged to a lawyer involved in the prostitution ring, Philip Macklin Bailey. According to the book, the other schemer involved in Watergate was Nixon’s chief of staff Alexander Haig. Haig wanted to conceal his role as part of a military network spying on Nixon and his national security adviser, Henry Kissinger (see December 1971). Haig orchestrated the titular “silent coup” to engineer Nixon’s removal from office. During the phone call, Wallace tells Dean, “According to Silent Coup, you, sir, John Dean, are the real mastermind of the Watergate break-ins, and you ordered these break-ins because you were apparently seeking sexual dirt on the Democrats, which you learned about from your then girlfriend, now wife, Maureen.” Wallace says that the book alleges that Dean had a secretive relationship with E. Howard Hunt, one of the planners of the Watergate burglary. Dean replies that he had little contact with Hunt during their White House careers, and calls the entire set of allegations “pure bullsh_t.” He continues: “Mike, I’m astounded. This sounds like a sick joke.” Wallace says that the authors and publisher, St. Martin’s Press, claim Dean was interviewed for the book, but Dean says no one has approached him about anything related to this book until this phone call. Dean says he is willing to refute the book’s claims on Wallace’s 60 Minutes, but wants to read it first. CBS cannot give Dean a copy of the book due to a confidentiality agreement. [Dean, 2006, pp. xv-xvii] Dean will succeed in convincing Time’s publishers not to risk a lawsuit by excerpting the book (see May 7, 1991), and will learn that the book was co-authored behind the scenes by Watergate burglar and conservative gadfly G. Gordon Liddy (see May 9, 1991 and After). The book will be published weeks later, where it will briefly make the New York Times bestseller list (see May 1991) and garner largely negative reviews (see June 1991). 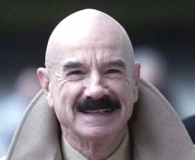 Some Watergate figures, most notably convicted burglar G. Gordon Liddy, support the book. (Weinberg observes that the book contradicts many of the claims advanced in Liddy’s Watergate biography, Will. Weinberg is apparently unaware that Liddy secretly co-authored the book—see May 9, 1991 and After.) In contrast, Washington Post reporter Bob Woodward, cited as a shady intelligence asset in the book, calls it “untrue and pathetic.” Woodward’s partner in the Watergate investigations, Carl Bernstein, dismisses the book as a “lunatic” piece of work. Former White House chief of staff Alexander Haig, accused in the book of fomenting the coup that forced Richard Nixon out of the presidency, calls the book “a scandalous fabrication.” Former White House counsel John Dean, named the “mastermind” of the Watergate conspiracy, calls the book “absolute garbage” (see May 6, 1991).